In the world of marksmanship training, being able to see where your rounds impact the target is the most difficult challenge when shooting at distances greater than 500 yards. 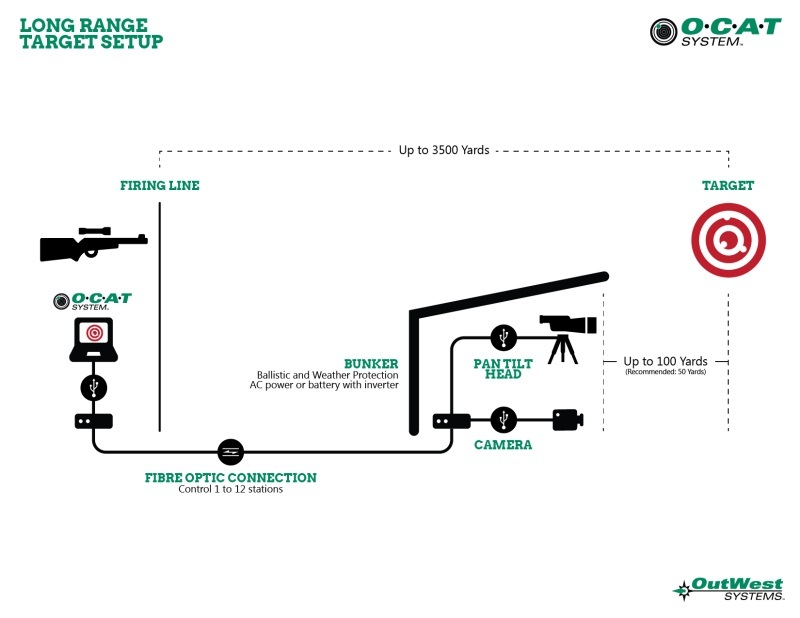 The OCAT SharpShot-R Long Range Marksmanship System Kit solve this problem by combining the latest high-definition video and advanced targeting software with your standard Windows-based laptop. The OCAT SharptShot-R System Kit give you immediate feedback to each round that you fire. You’ll know the exact location (in inches or cm’s) where your hits are on the target. The system automatically reports hits verbally and visually with no need to touch the computer. This means you can make rapid adjustments for wind, mirage and other conditions to improve your shooting skills. 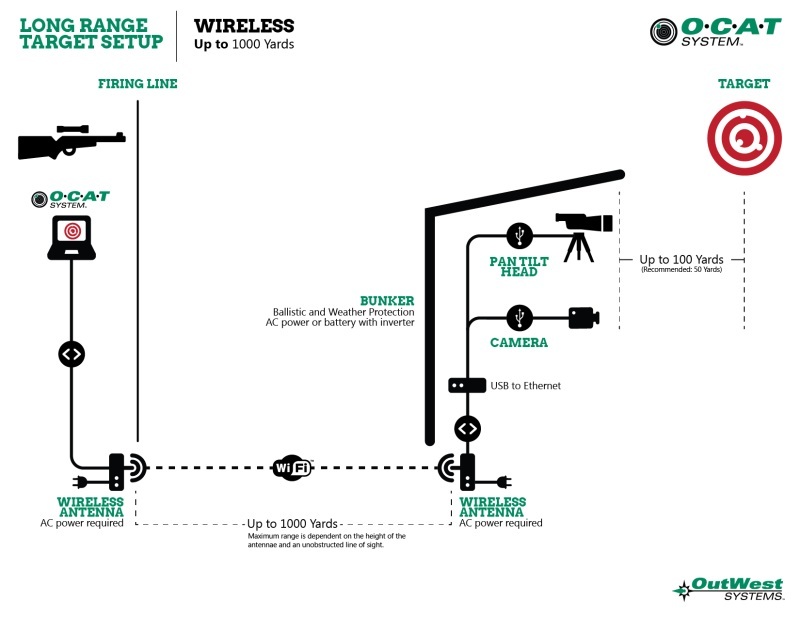 The OCAT SharpShot-R use a HD web camera attached to a spotting scope. The images of your target are sent back to your computer at the firing line in real time. The OCAT System software shows the holes you make in the targets, marks them, and records the location and time of each shot. At the same time, the laptop displays your target as if it was only a few yards away. The OCAT SharpShot-R work equally well as a portable system for any long range shooter, or as a fixed installation for ranges, military and law enforcement. The portable systems use the latest wireless technology to send the live video from the camera back to the laptop, while the fixed system installation uses a fiber optic cable. Contact OutWest Systems, Inc. for more information. Note: If you want to use your own scope, and it does not have a T-Mount eyepiece, you will need to order a general purpose mounting ring. Please contact us to verify your scope will work with the camera mount and to order your mounting ring.